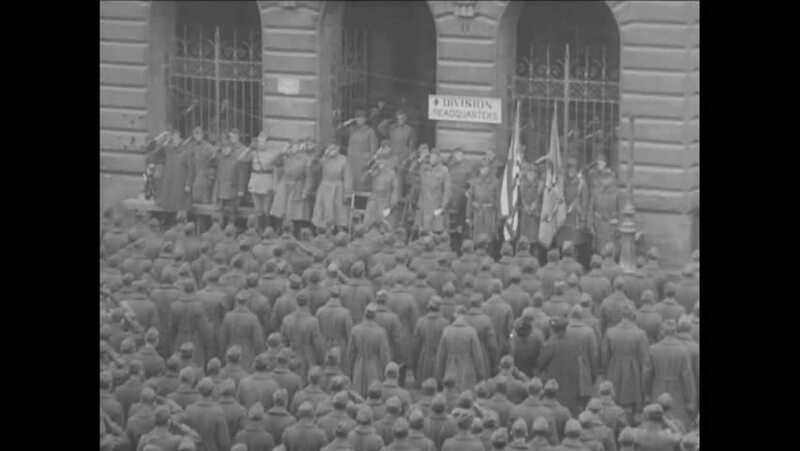 CIRCA 1919 - Crowds of 5th Division troops stand at attention outside French headquarters. hd00:22Russia: 1950s: water runs into damn. Soviet train travels along track in snow. People listen to leader's speech. Man stands at podium. hd01:151930s: A large illuminated billboard for Chevrolet is maintained by daredevil men who climb and work on it. hd01:09CIRCA 1918 - Soldiers eat and sing songs during the occupation of Chemin des Dames, France during WWI.